Is there anything more important than having your heart in great shape this Valentine’s Day? This Valentine’s Day, consider skipping the overpriced, over processed, insanely crowded restaurants and relax at home with a made from scratch, plant-based meal. And some red wine, of course, since we all know red wine can contribute to great heart health! Please your taste buds this February 14th (and every other day, for that matter) with these delectable vegan recipes, specifically crafted to improve your heart health. All recipes are given below. 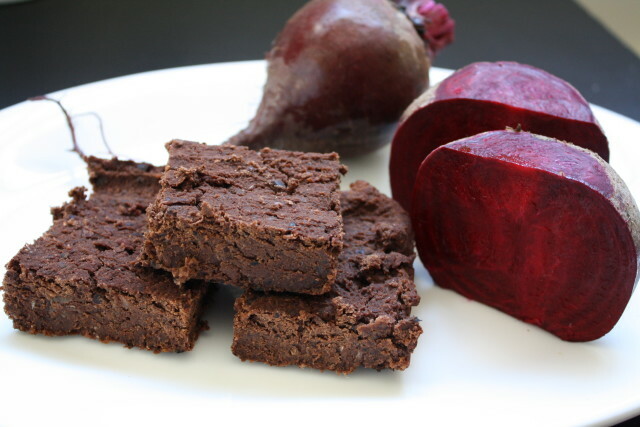 Beets are a great choice for a healthy heart and are the perfect V-Day color. 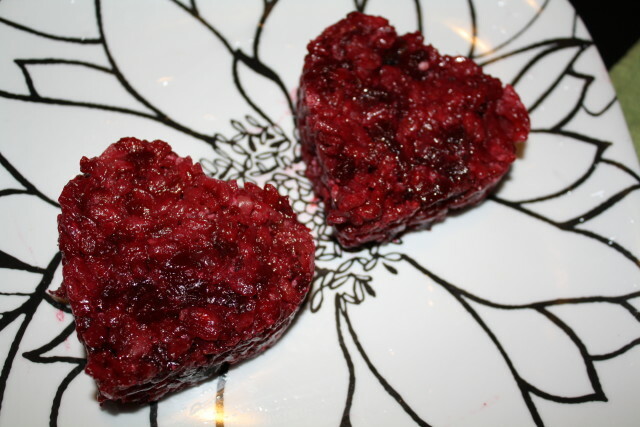 This Sweet Beet Heart Risotto is full of beets and red wine and absolutely perfect for this holiday of love. Beets are rich in nitrates and antioxidants which are crucial in improving blood pressure and blood flow to the heart. It’s also known to improve stamina, which can come in handy Valentine’s night! Beans and sweet potatoes also contribute to cardiovascular improvement. 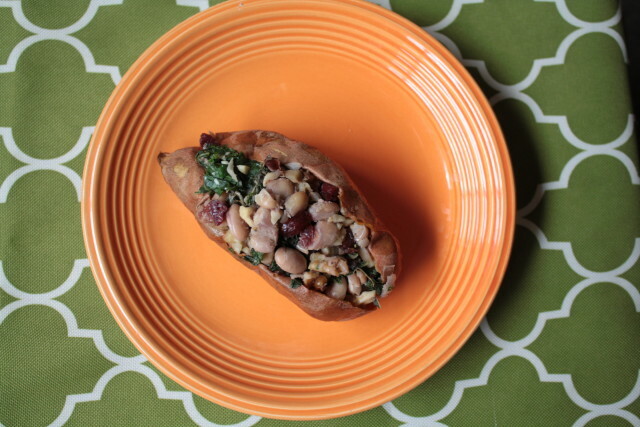 B vitamins, folate and niacin are found in beans, and sweet potatoes are full of beta-carotene and vitamins A, C and E. This White Bean, Cranberry and Kale Stuffed Sweet Potato recipe is a great Valentine’s choice and makes for a fancier, prettier food presentation. With walnuts being high in omega 3’s and vitamin E, and spinach being rich in B vitamins and magnesium, it makes these two a well-balanced heart healthy pair. 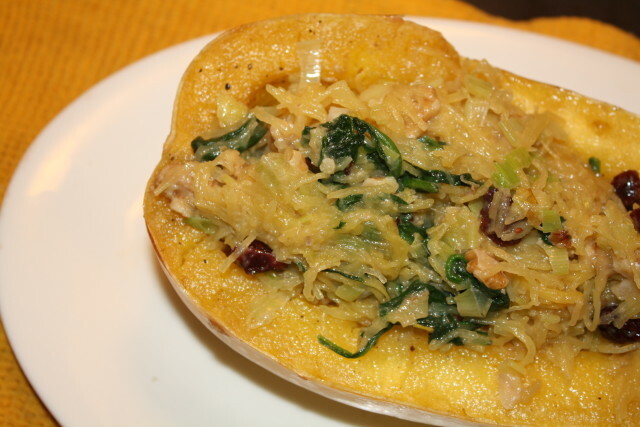 This Spinach and Walnut Spaghetti Squash entrée is a lighter pasta substitute and will impress any V-Day date. Satisfying your sweet tooth has never been so guiltless, with this Raw Blueberry Pie with Coconut Almond Crust. The blueberries make it full of nutrient-dense beta-carotene and flavonoids and the almonds deliver a boost of omega 3’s and polyunsaturated fats to your heart. 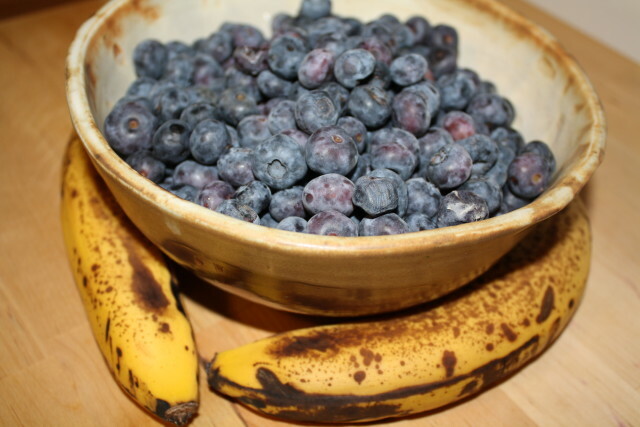 Impress your better half with this uber healthy treat.